Foundry, the ThingLogix proprietary cloud platform, simplifies, accelerates, and optimizes the development, deployment, and operation of market-facing IoT solutions architected on AWS. Foundry Packages, the component applications built on Foundry, are sets of composite IoT functionality, packaged to enable market-facing IoT solutions for specific industries and use cases, such as Fluid Metering and Leak Detection, or Voice Ordering. This solution is provided by ThingLogix, an Advanced APN Technology Partner and AWS IoT Competency holder. AWS IoT Competency Partners deliver IoT platform implementations, integrate relevant AWS services, and accelerate the ramp-up of new users. 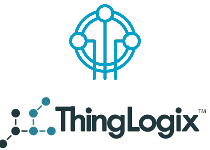 This solution was developed by ThingLogix, an APN Advanced Technology Partner and AWS IoT Competency holder. Discover value from this solution by gaining access to AWS credits to support a Proof-of-Concept (POC) with a consulting offer from ThingLogix that includes AWS co-investments. Click below for more information. You can purchase and launch ThingLogix Foundry through AWS Marketplace using a Software as a Service (Saas) delivery model. APN Partners with the AWS IoT Competency designation offer consulting services to help you quickly discover value from this solution. Click on the link below to find more about these APN Partners and their consulting offers, and to request more information or support. Discover value from this solution by gaining access to AWS credits to support a Proof-of-Concept (POC) of ThingLogix Foundry that includes AWS co-investments. Click below for more information.